Sell Your House Fast With More Options. Direct Cash Buyers and Locally Located. We’re Local House Buyers With Cash And We Buy Houses Anywhere In Berks County. Check Out How Our Process Works. We’re Ready To Give You A Fair Offer For Your House. 1st, we’re not a big outside national company, we’re local residents just like you and we specialize in providing real solutions when you need to sell fast or have a property that needs lots of work or updating that you just don’t want to deal with. 2nd, we’re NOT for everyone but one thing we promise is to help you know what options you have. Take advantage of that, no other LOCAL company can do what we do. Don’t let other companies fool you and with so many scams going on today, you have to be careful. 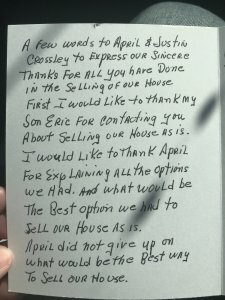 With Berks County House Buyers, there is full transparency. If you want to avoid the uncertainty of your house selling through a realtor or trying to sell the property yourself, contact us today, fill out the form above or just give us a call right now 610-816-6205. Let us take all the risk, you walk away without having to make any repairs, you pay no fees.. this means more money in your pocket. And we can close fast or on your time frame, it’s whatever is more convenient for you. Fair all cash offer with no contingencies and we offer multiple options for selling your house. No Banks, No Appraisals, No Drama! We’re direct home buyers in Berks County with cash, no middle person to get in the way of selling your house, even if the house needs work. One advantage of working with us is we will give it to you straight.. we are not going to play games or waste your time. 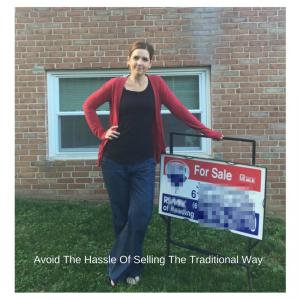 We understand that there are lots of other “we buy houses” companies in the Berks County area that make promises..most don’t intend to buy your house directly, they just want to “tie up” your house. Not us! We’re direct buyers right here in the Berks County – Reading PA area. 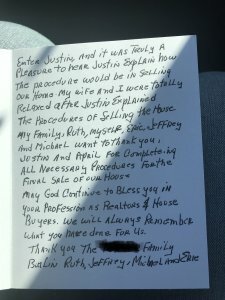 We have been in real estate in Berks County for over 12 years and know the area very well so we can tell you instantly if we can work out a deal, something that is a win win for everyone. If we can’t buy your property, we will tell you how to sell it. No strings attach! “Okay…You’ve Helped Others In Berks County But Can You Help Me?” Yes! We help property owners just like you, in all kinds of situations. From divorce, foreclosure, death of a family member, burdensome rental property, and all kinds of other situations. We buy houses in Berks County and surrounding areas and pay a fair cash price, fast. Sometimes, those who own property simply have lives that are too busy to take the time to do all of things that typically need to be done to prepare a house to sell on the market… if that describes you, just let us know about the property you’d like to be rid of and sell your house fast for cash.